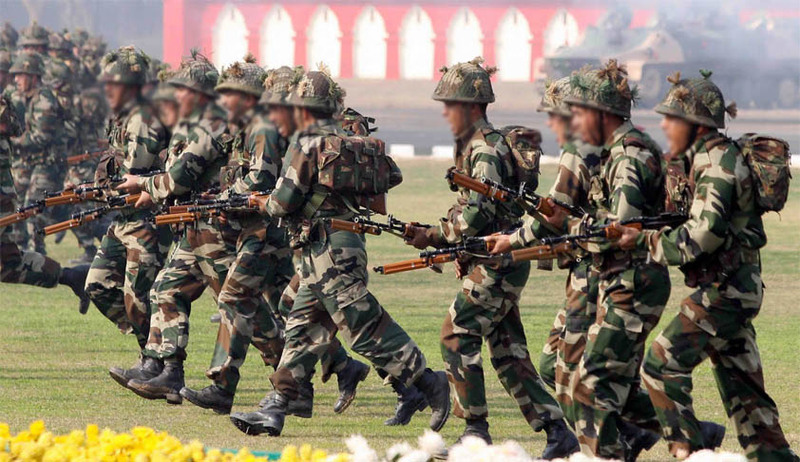 Army personnel who go on unauthorized leave can never be good soldiers and there is nothing wrong in discharging such persons from force without issuing show cause notice, the Supreme Court said on Wednesday, in the case of Union of India & Ors. v Manoj Deswal & Ors. A Bench of Justices A R Dave and A K Goel upheld the Government’s decision to discharge an army man who went on leave without taking permission. In this case Manoj Deswal had gone on leave without taking permission from his Commanding Officer and he remained on unauthorized leave for 108 days in 2005. Deswal was subsequently declared a deserter and the Commanding Officer discharged him from service, under the provisions of Army Rules, 1954. On 27th August, 2005 he had been discharged from service as in view of the Commanding Officer under whom he was working, he was ‘unlikely to become an efficient soldier’. Deswal approached the Delhi High Court which quashed the discharge order, on 17th August, 2007, on the ground that he was not allowed to present his case and the order was passed without issuing notice to him. This appeal has been filed by the Union of India and others challenging the HC order in the Supreme Court. "A person who remained absent unauthorisedly and who was declared deserter can never turn out to be a good soldier and as per the provisions of Rule 13(3) of the Rules, it is very clear that the Commanding Officer can discharge non- attested person enrolled under the Act". The Court openly accepted the Centre's submission that the High Court committed a serious error by setting aside the discharge order only on the ground that the Respondent had not been afforded an opportunity to defend his case before the order of discharge was passed. The Counsel appearing for the Union of India further submitted that without issuance of show cause notice the Respondent could have been discharged from service, who had not been attested as per the provisions of Sections 16 & 17 of the Army Act, 1950. Moreover, as he had not been given regular appointment as a soldier, being like a probationer, it was open to the Commanding Officer of Respondent no.1 to discharge him from service as per the provisions of Rule 13(3) of the Rules. The Bench concluded that before his discharge, a summary enquiry had been made as to whether he had remained absent unauthorisedly and it was found that his absence was unauthorized. On perusal of the original record, the Bench found that the Court of inquiry had been held and Deswal had also been declared deserter by an order dated 30th July, 2005. In the circumstances, the order passed by the Commanding Officer dated 27th August, 2005 is considered just, legal and proper.